Power the resistance with a gift to Greenpeace. Washington, DC - Yesterday over 100 Indigenous people, allies, and journalists were hurt on sacred Native land during a peaceful prayer action. Journalists and water protectors were shot with rubber bullets and maced repeatedly by police who were occupying a Native burial ground. The water protectors who were attacked were peaceful and non-provocative toward the police who have continued to force Native communities off their own land. Sacred Stone Camp released this blog post recapping the violence, including statements from individuals on the ground. “Militarized police continue to abuse their power in the face of peaceful prayer at Standing Rock. The response we have seen from law enforcement to non-provocative water protectors exhibits the very worst of our country. For far too long, our government has unjustly restricted Indigenous communities’ rights and ability to access their own land, repeatedly ignoring Native sovereignty. That is exactly what we are seeing now at Standing Rock — a $10 million militarized police presence restricting Native people to the small geographical location it deems appropriate. And all in the name of protecting corporate profits. 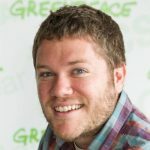 Perry Wheeler is a senior communications specialist at Greenpeace USA. Stop Drilling in the Arctic National Wildlife Refuge! Add Your Name by March 13th! Tell Congress we need a strong Green New Deal! We Need Your Voice. Join Us! Want to learn more about tax-deductible giving, donating stock and estate planning? 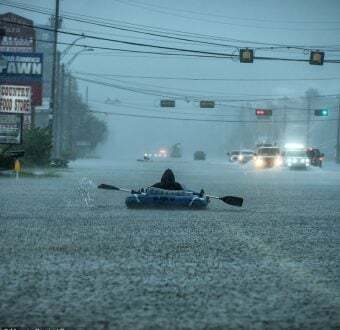 Visit Greenpeace Fund, a nonprofit, 501(c)(3) charitable entity created to increase public awareness and understanding of environmental issues through research, the media and educational programs. Plastic is choking communities and wildlife! Help us raise $380,000 by April 30 to end corporate plastic pollution and power all of our work.